Last night the Republican Party of Australia celebrated its 30th Birthday with a lavish dinner in Castle Hill, a site of great significance to Australian Republicans. The RPA was founded on 11 January 1982 by Peter Consandine and has continued down a separate path since the 1990s to the more high-profile Australian Republican Movement. The Australian Republican Movement has steadfastly kept an apolitical advocacy approach whereas the Republican Party of Australia has actively sought political election for its members, writes history editor Dr Glenn Davies. 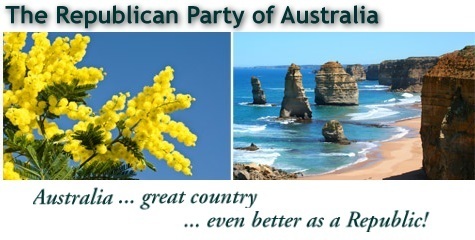 For the past 30 years the Republican Party of Australia has advocated for an Australian republic at a grass-roots level, through regular street stalls and community activity. They have never supported a minimalist approach to constitutional change and now with their ‘Presidium Model’ are behind a direct election model for an Australian Head of State. It’s appropriate that the Republican Party of Australia chose to celebrate their 30th Anniversary at Castle Hill. Of course, the name Castle Hill has republican echoes from the 1804 Convict Rebellion. Between 1791 and 1805, about 2,300 Irish men and women were sent from Cork on board thirteen transports headed for New South Wales. In the spring of 1797, the United Irishmen, or ‘Defenders’, a reformist society, had created dissent. Many were to end up in New South Wales for their outspokenness and acts of force. In the minds of the colonial authorities, it was with the arrival of the United Irishmen after 1798 that a republican movement was created. The arrival of the convicts, sentenced for their part in the Irish rebellion of 1798, roused the fears and prejudices of Governor King and those in power in the colony. To men of power such as King, republicanism was a threat to both life and property. However, the ‘Defenders’ were not republicans and were more interested in attacking the Protestant Ascendancy than the British Crown. Throughout his term as Governor, King was in a state of near panic over the Irish political prisoners. When HMS Ann arrived in 1801, King described one Father Peter O’Neill as a Catholic priest of “notorious, seditious and rebellious principles”. When King relaxed the ruling of Irish Catholics practising their own religion it was on the provision, “they were to ensure that no seditious conversations occurred at their places of worship or elsewhere”. King continued his predecessor Governor Hunter’s expressions of anti-Catholicism to the Colonial Office, asking it to not send any more Irish Republicans. By 1802, Irishmen made up a quarter of the population of the Botany Bay colony. The settlement at Castle Hill, founded in mid-1801, was a place to which the more unruly of the convicts gravitated or were sent. On 4 March 1804, approximately 330 convicts took part in a planned armed rebellion organised by a 1798 rebel, William Johnston. The initial intention of the rioters was to go on to Sydney and plant a ‘Tree of Liberty’ at Government House. From the beginning, the rioters were ill-equipped, unorganised and, worst of all, betrayed. The outcome could not be anything but tragic. These convicts saw their uprising as more than a prison riot. A frontal challenge to the colonial structure was the only means of protest open to them. The source for republican thinking did not usually grow out of an attachment to Australia. The purpose of the 1804 convict revolt was to seize ships and sail away from Australia. It is important to remember that the Irish in Australia had been sympathetic to republican action, but their hatred of the British was prompted by British deeds in Ireland. In 1982, Peter Consandine stood as a Constitutional Republican for the seat of Lowe. The Republican Party of Australia continued throughout the 1980s to advocate for the abolition of monarchy, the present constitution, the federal and state governments, and the existing court system. In their place, the Republican Party of Australia proposed the country be divided into 50 regions, each with its own 10-person legislative assembly and two delegates in one National Parliament. Their policy was for a 2 tier system of government — effectively a merging of State government with Local government so that National government could work in tandem with Regional government. The Australian Republican Movement has steadfastly kept an apolitical advocacy approach, whereas the Republican Party of Australia has actively sought political election for its members. In August 1991, Peter Consandine coordinated a ‘People’s Republican Rally’ in Sydney, in an effort to bring together the many small republican groups contained within the Coalition of Republican Organisations. The Coalition of Republican Organisations contained 11 groups, including the Australian Republican Council, the Queensland Australian Republican Party, the National Republican Alliance, the Regional Co-operative Government Movement, the New Australian Flag Push, the Campaign for Australian Constitutional Change, and the Republican Society of Australia. The purpose of the meeting was to choose candidates to contest the next Senate elections. Almost counter-intuitively, The Republican Party of Australia benefitted from the formation of the Australian Republican Movement in July 1991, seeing an increase in members joining. By 1992, it had well over the 500 members required by the Australian Electoral Commission to register as a political party. In 2012, the Republican Party of Australia is still led by Peter Consandine and continues to work at a grass-roots level, endeavouring to have republican members elected to government, supporting a directly elected presidential model for the Republic. The so-called ‘Presidium model’, proposes the direct election of three adult Australian persons — all elected by compulsory optional preferential voting. The person who receives the most preferred votes becomes the elected President. The remaining two persons would, in order of their preference tallies respectively, be elected the First Deputy President and the Second Deputy President. The fixed term of ‘The Presidium’ would be five years, with the three elected persons excluded from ever standing again for election. The RPA argues that a Three Person Presidency (‘The Presidium’) would be able to share the load and accept many more ceremonial invitations than is currently possible. The RPA’s ‘Presidum’ is one of the models that may be considered by the Australian people in the future. Thirty years of political activity is a great effort that deserves congratulation. If Peter Consandine keeps it up he may pass the greatest of all republican activists, the Reverend Dr John Dunmore Lang.